Each culture that’s proud of its existence has pieces of clothing with stories that go back into the past. A veil or a scarf. A meager hair pin or an exaggerated gown. When it comes to Nepal, there is nothing that can explain our history as clearly as the Nepali topi. Nepali topi or Dhaka Topi has been adorning Nepali heads for generations. This unusually cut piece of clothing is a way of life for many older people. Even youngsters find it important to adopt a topi on formal occasions. Intrigued to know its history, I went to Ason, probably the only place where I could find answers. Nirmal Tuladhar took over the shop of hats from his father in 1976 but it has been there in the same place since his grandfather’s time, for probably more than 75 years, making it one of the oldest Dhaka Topi shops in Nepal. “We had people from all over Nepal come here. At a time when it was difficult to find good quality topis, ours was probably the only one people trusted. Things have not changed much. 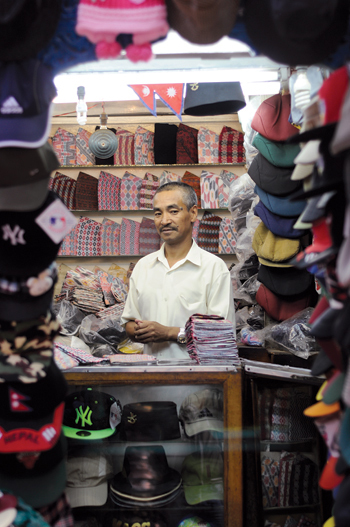 We are still revered as the oldest topi shop in Nepal,” says Nirmal Tuladhar. Dhaka Topi got its name from the fabric that was imported from Dhaka in Bangladesh. 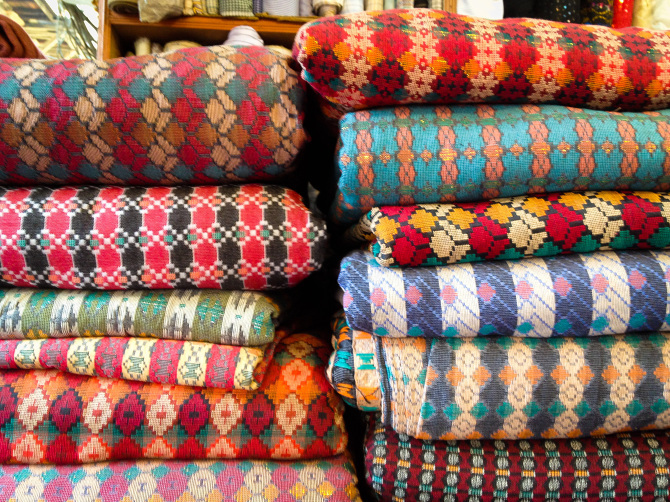 Although these materials are no longer brought in from Dhaka, old shawls are still cut to make these topis that are appreciated for their rarity and history. “Dhaka Topis are expensive. They are rare and of very good quality. Only one in a million wear these,” says Nirmal Tuladhar, smiling. The store itself has changed over the years and has adopted modern hats along with Nepali topis. But the highlight of the place still remains the Bhaktapur-made Bhadgaule topi and Dhaka Topi. “Topis are strongly attached to our culture. My father gave them away for free when King Mahendra passed away. I still remember that day. Even something as simple as the way you wear a topi represents the status you have in society. Kings wore it in a more different manner than the common people. It is a huge part of our culture and the time that was,” shares Nirmal. 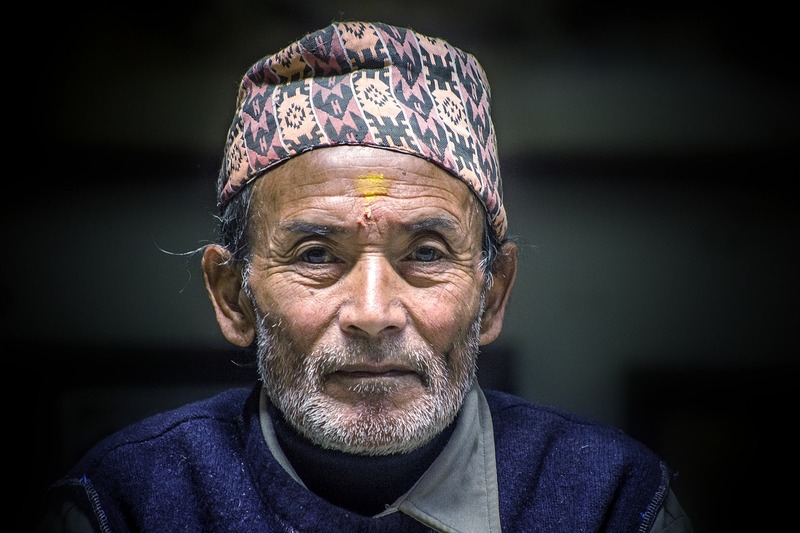 From stories of Kings’ demises to the actual interaction among people on the latest trends of Nepali topis, it wouldn’t be wrong to say that these hats have witnessed more events than any other form of clothing. “People from different political parties have different ways of wearing the topis as well. 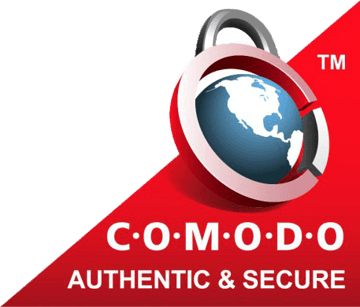 I have many who buy theirs from my place,” says Nirmal. His statement only apprises us about how our history is still being created as we speak. We can only hope this symbol of pride can shine on for a long time on the heads of the Nepalese.